BEML’s with its after sales Service Network strategically spread across the country is providing 24 x 7 Support for wide range of products. BEML offers product support at pit-head / on-site throughits 12 Regional Offices, 20 District Offices, 1 Activity Centre backed by well-equipped state-of-art Service Centres enable customers to upkeep the Equipment. 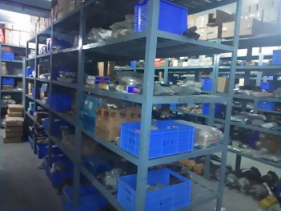 Our qualified and experienced after sales service force ensures high availability and reliability of Equipment through prompt, quick and highly responsive after sales service. 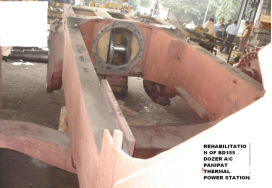 BEML is fully equipped to provide “BUMPER TO BUMPER - ONE STOP SHOP” (Erection & Commissioning, Maintenance, Trouble Shooting, Condition Based Monitoring (CBM), Total Support for Mid-Life Overhauling, Product Reliability Improvement Programme to enhance the equipment availability & productivity, Recon Exchange Programme for Major Aggregates) to support customer, making after sales service best in the industry. 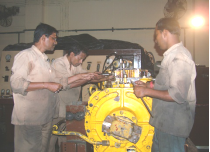 BEML after sales service team assures its customers that all scheduled maintenance carried out on time and supports its customers to carry out CBM (Condition Based Maintenance) thus minimizing spare parts cost, system downtime and time spent on maintenance which also resulting in extend equipment / aggregate life and ROI. Minimum owning & operating cost. 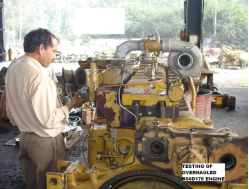 Improved Equipment Reliability & Maximum utilization. Optimized performance at lowest cost. Protected value of capital investment. Contract Management Cell at KGF, primarily focusesmonitoring &ensuring instant support on 24 x 7 for equipment deployed at various customer’s project sites under various types of contracts. BEML understands the importance of skill development and training to our customer and internal personal on continuous basis at well-established Service Training Centres at Manufacturing Divisions. 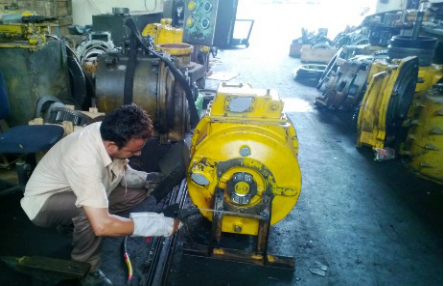 Provides economic repair solutions, Recon-Exchange of major Aggregates like Engine, Transmission, Hydraulic Pumps, Rear Axle, etc., and Rehabilitation of equipment. 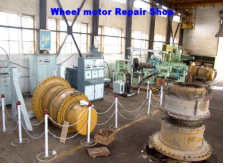 BEML Service centres are equipped with sophisticated Transmission Testing facilities, FIP Test facility, Pump Test Facility, Engine Testing facility etc.,and Electrical Motor and Alternator repair works are also taken up at these Service Centres. 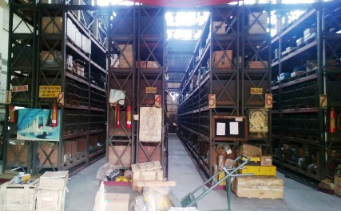 All these Service Centres are backed by Spare Parts Depots.